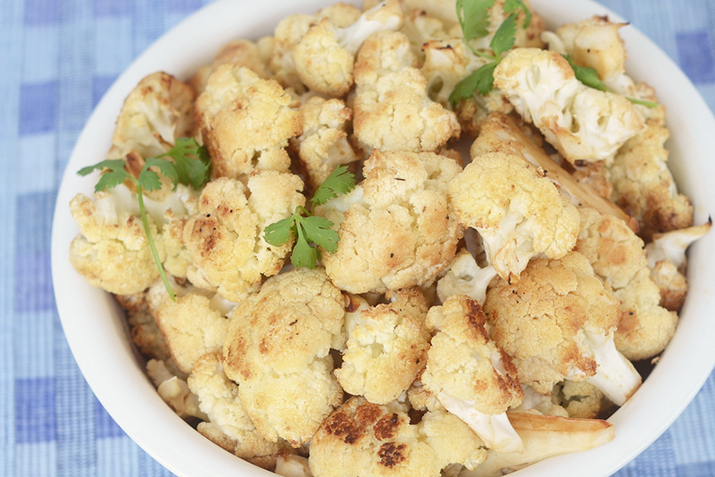 This side couldn't be easier to prepare and it's a great dish to get kids and adults to love their cauliflower. Perfect as a side dish to any meat or over wild rice as a vegetarian entrée. Invite your kids to participate. Have them break the cauliflower into florets and mix the ingredients.